Following on from last year’s rather fine ‘I am the President Of Your Fanclub And Last Night I Followed You Home’ the Edinburgh five-piece have returned five another five track EP. It’s a winner that shows how they have developed, and if you’ve been enjoying the recent debut album from Kid Canaveral, then I’m pretty sure you’ll love this too. Is there something different about an EP to a single? Well, I still maintain that there is, or at least should be. Namely that a) you get more tunes for your money’s worth, and that more than one track therein should be on a par with the lead track. Ride’s first four EPs understood this…umm, twenty years ago now, and for their first eighteen months so did Oasis. Because what counts here is that every single track is excellent, and if I love ‘Funny For A Girl’ the most, then I also think that the sad but sublime ‘Standing Still’ and the closing ‘Listen’ are awesome as well. Check it out for yourselves. Listen to the EP and then go and buy it. For just more a little more than the price of a cup of coffee this is a release you’ll want to play for a long time to come. The band have generously given me two copies to give away, so email me at seventeensecondsblog@hotmail.co.uk for the chance to win the EP on CD. Closing date is July 18. 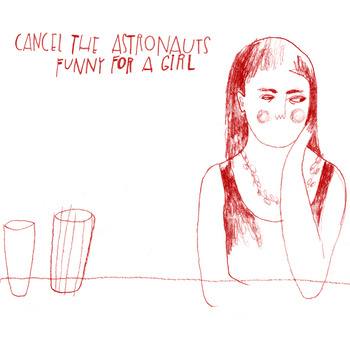 This entry was posted in Cancel the astronauts by Ed. Bookmark the permalink.